Hydrolyzed collagen for simple collagen pack effect. Big size one-touch pump container for clean usage. 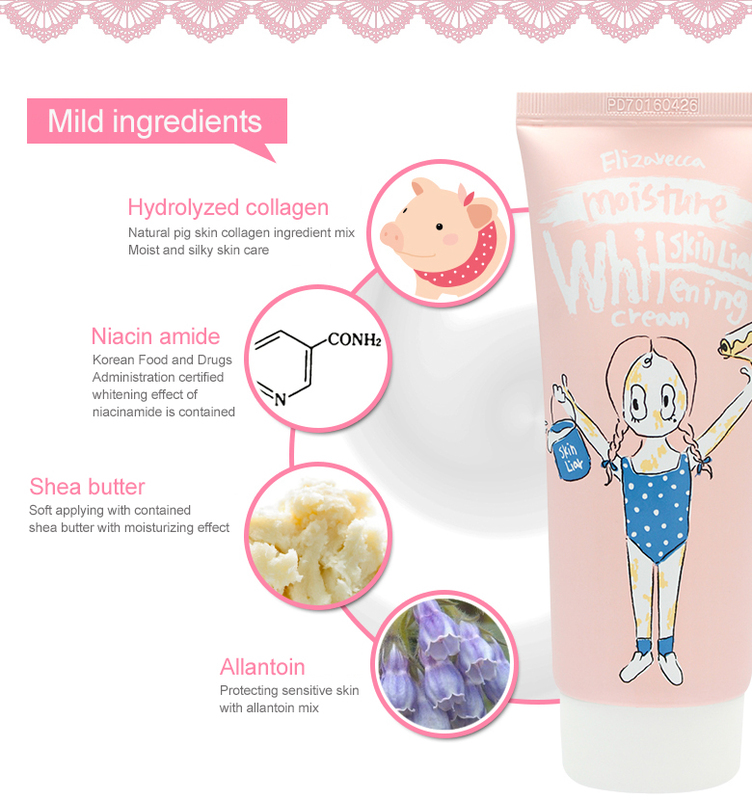 Whitening effect (Korean Food and Drugs Administration certified). Take proper amount of it on an area you want to apply it. Spread this cream on that area evenly.